Gareth Cattermole/Getty ImagesAdele loves the Spice Girls. 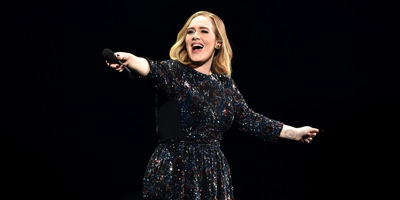 Adele spiced up her concert with love for the Spice Girls. During her concert in the Netherlands on Friday, the singer started yelling out “Spice Girls” as the audience cheered. “Oh stop it, I’m not a Spice Girl,” she said before breaking into the chorus of “Spice Up Your Life” and dancing around on stage. She earned the love of three of the original members. Emma “Baby Spice” Bunton retweeted the video, while Melanie “Sporty Spice” Chisholm tweeted the heart eyes emoji.